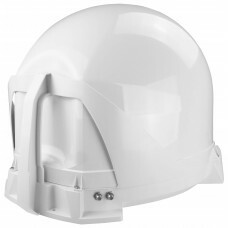 A range of Motorhome and Caravan Automatic satellite Domes which are fitted to the campervan, caravan and motorhome roofs. Giving you TV reception and SKY and satellite TV across Europe. The VuQube 2 is a fully enclosed automatic satellite system designed to receive satellite TV and r..
With all the advantages of a Roadpro "The old Camos" dome automatic satellite TV system. 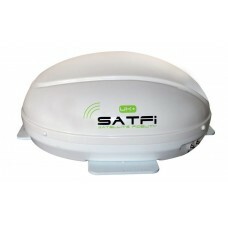 This makes ..
SatFi GO - High Performance In-Motion DomeThe SatFi GO offers high-performance in-motion satell.. 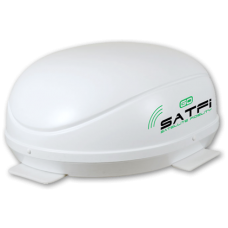 The SatFi UK + is the latest to join our range of slimline high-performance automatic satellite TV ..
Rhino Installs can supply and fit Satellite domes from manufacture such as Maxview, Roadpro, Sat-fi, Camos and Tracvision. Motorhome, Campervan and Caravan Automatic Satellite Dome installations carried out by ourselves at our NCC Approved premises in Preston Lancashire. Please contact us and we will be happy to help. 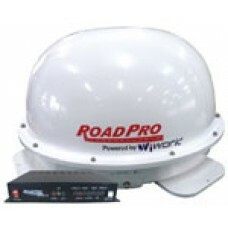 Satellite Domes system can come fitted with auto-skew, twin LNB and many other features. We have fit to all types of motorhomes and Caravans, . Click here for pictures of our Automatic Satellite Dome installs. Fitted to manufactures such as Swift, Hymer, Bailey, Burstner, Autotrail and many more.